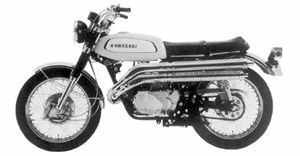 The Kawasaki A1 Samurai was a 250cc street motorcycle manufactured by Kawasaki from 1967 through 1971. 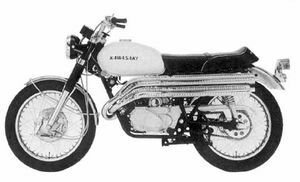 It was a twin cylinder, rotary disc valve bike and shared the same frame with the Kawasaki A7 Avenger. 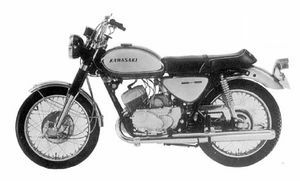 The Kawasaki A1 currently can participate in AHRMA sponsored events in the Classic 250 which are 1967 and earlier and approved-design machines up to 250cc. 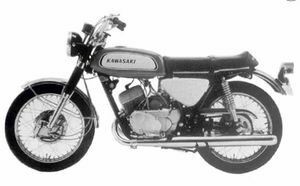 Kawasaki manufactured a road racing version of this bike known as the Kawasaki A1R. 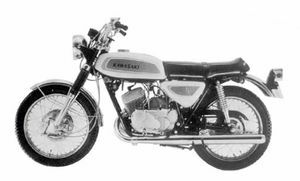 Remarks: Twin rotary valve engine mounted on the same frame as the 350 cc A7. 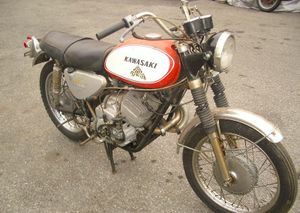 Has twin leading shoe front brake. Major Changes: Marking, fuel tank, sear, and rear shocks. CDI ignition system adopted on US model. 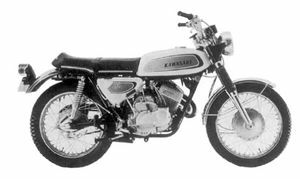 Color of the front fork covers, headlight housing, etc. Instruments separated from the headlight. Major Changes: Color, marking, fuel tank, seat,and rear fender. 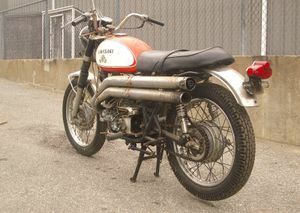 Remarks: Street scrambler version of the A1 . 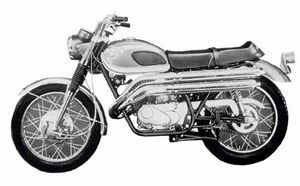 Has crossover upswept dual exhausts, braced handlebars, and skid plate. Major Changes: Marking. CDI ignition system adopted. 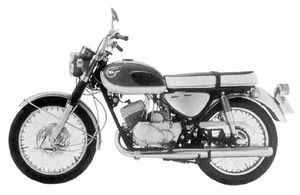 Color of the front fork covers, headlight housing, etc. Instruments separated from the headlight. Major Changes: Color, marking, fuel tank, seat, and rear fender. This page was last edited on 28 November 2010, at 21:36.